New construction in north Los Altos. Unbelievable quality and design in this modern, single-story residence. The kitchen features all new stainless steel Bertazzoni appliances, and abundance of lighting. Deck off living room, indoor laundry, two full bathrooms, and master suite featuring a deck and additional exterior storage. Master bathroom features dual vanity sinks and an elegant shower stall. The building includes an elevator, residential lobby, and two assigned parking spaces and one stall for electric car charging. 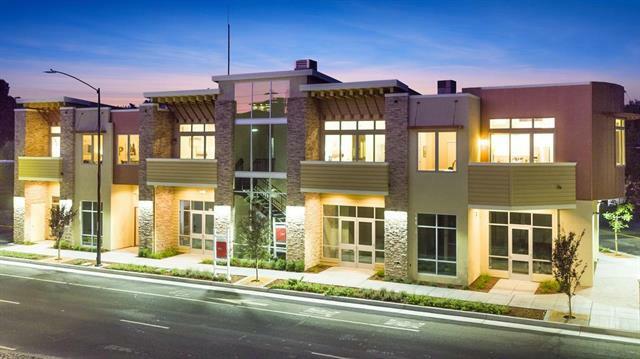 Located in close proximity to downtown Los Altos shops and restaurant, and Los Altos schools. This is a must see residence. One storage included per unit, in garage. There is a total of 4 single story condominiums units on the second floor, and two commercial spaces on ground floor.